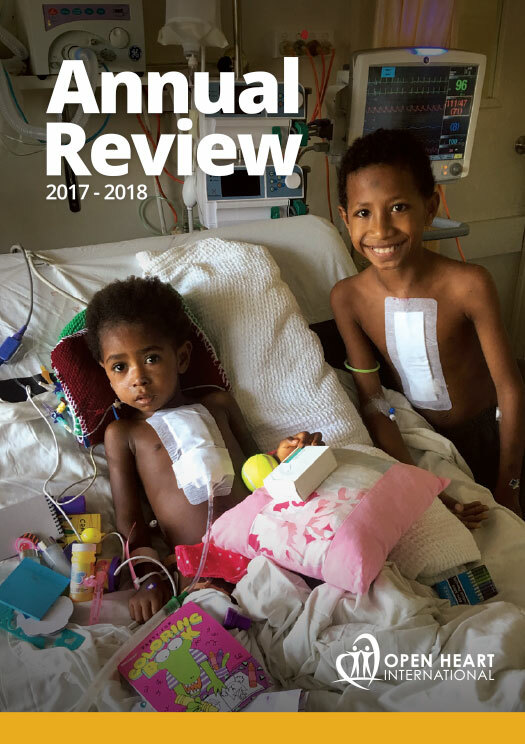 14 adult cardiac operations, 18 paediatric heart operations, and 82 cases in the Cardiac Catheterisation Labaroatory (Cath Lab), which were a mix of Angiograms, Angioplasties, Implantable Defibrillators, Atrial Septal Defect closures, and Pacemaker insertions. That equates to a lot of lives saved and a lot of happy and grateful families! 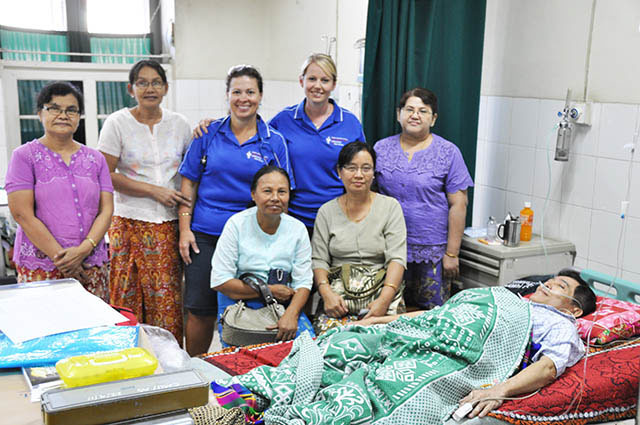 The picture below is of Open Heart International’s Coronary Care Nurses (CCU), Claire Lee and Kylie Winchester, with a male patient and his family. Lots of respect to CCU Nurses. They have to settle grieving and anxious families after their relatives have just had a cardiac arrest, serious arrythmias, or terrible pain from unstable anginas. Until these patients are treated in the cath lab, or sent for cardiac bypass, and they can arrest at anytime. Many do. That’s why the more serious cases are continually monitored. 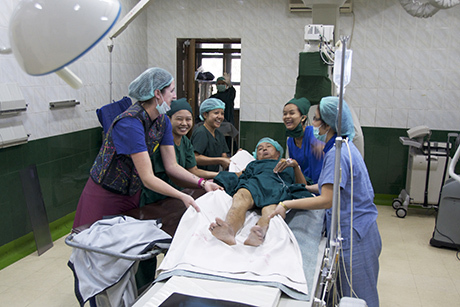 Everyone is smiling, as Open Heart International’s Cath Lab RN, Kate Littlejohns, supervises a patient bed transfer onto the Cath Lab bed. This local man might be one of the lucky ones, if his blocked coronary artery can be located with an angiogram. Diagnostic angiograms happen by injecting contrast dye into the vascular system. Observation can occur by Fluroscopy. Cardiologist, Jason Sharp oversees the whole Cath Lab procedure. 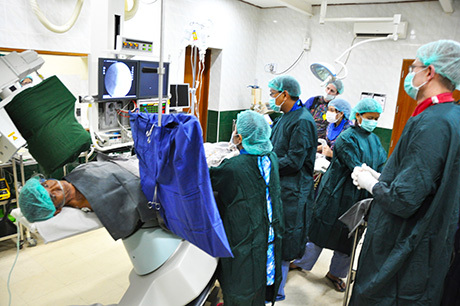 If a blocked coronary artery is located on the heart of this Myanmar man, then perhaps the blockage can be opened by doing an angioplasty, which involves inflating a tiny balloon in the vessel to push the plague away. He may even receive a stent, which is like a miniature reinforced pipe inserted into the artery, to keep the blood flowing. Spare a thought for this team, if you are thinking its all fun and games in the Cath Lab. They have to wear hot and heavy, lead gowns and collars. These lead outfits protect a practitioner from being continually hammered with X-rays, which can lead to cancer. However its certainly not ideal attire in the warm climate of Myanmar. It is somehow a tradition for these lead outfits to come in wild, funky, psychedelic colours and designs. 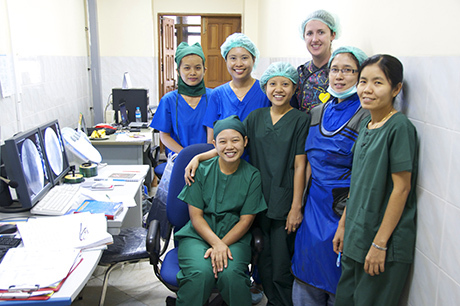 Open Heart International RN, Kate Littlejohns, with the local team.